Frank Hague, Mayor, et al. v. Committee for Industrial Organization, et al. Certiorari to the Circuit Court of Appeals for the Third Circuit. Certiorari, 306 U.S. 624, to review a decree which modified and affirmed a decree of injunction, 25 F.2d 127, in a suit brought by individuals, unincorporated labor organizations, and a membership corporation, against officials of a municipality to restrain alleged violations of constitutional rights of free speech and of assembly. The Court held that Hague's ban on political meetings violated the First Amendment right to freedom of assembly, and so the ordinances were void. Frankfurter and Douglas took no part in the consideration or decision of the case. 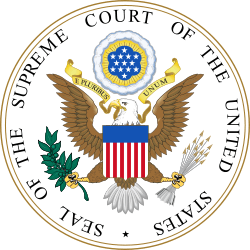 Hague v. Committee for Industrial Organization, 307 U.S. 496 (1939), is a US labor law case decided by the United States Supreme Court. In Jersey City, New Jersey, Mayor Frank Hague had in 1937 used a city ordinance to prevent labor meetings in public places and stop the distribution of literature pertaining to the Committee for Industrial Organization's cause. He referred to the CIO as "communist." District and circuit courts ruled in favor of the CIO, which brought the suit against the mayor for these actions and which was represented by Morris L. Ernst, Spaulding Frazer, Lee Pressman and Benjamin Kaplan. Hague appealed to the Supreme Court which ruled against him and held that Hague's ban on political meetings violated the First Amendment right to freedom of assembly, and so the ordinances were void.